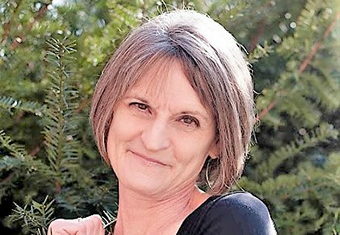 Join us on Tuesday, April 23rd, for what is sure to be an entertaining and inspiring presentation by award-winning local storyteller Sally Perkins. In celebration of the upcoming 100th anniversary of the 19th Amendment in 2020, Sally has created Digging in Their Heels: An Energized, Eye-Opening Story of Women’s Battle for the Vote. This high-energy, surprise-filled piece tells the story of women’s 72-year struggles, strategies, and stamina in their fight for the right to vote. Told as if Susan B. Anthony and her spicy pals had iPads, Snapchat, Twitter, and Uber, the story keeps audiences laughing, marveling, and learning from those who paved the way for women today. We hope you’re able to join us for this special performance before Sally heads out on national tour. If you’d like to introduce someone to our firm, please invite them and include her name with your RSVP. 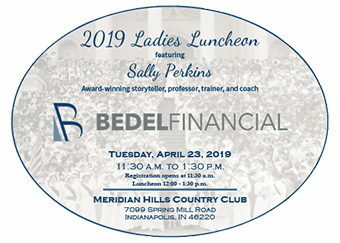 If you plan to attend, please RSVP by April 3rd at RSVP@bedelfinancial.com or 317-843-1358.